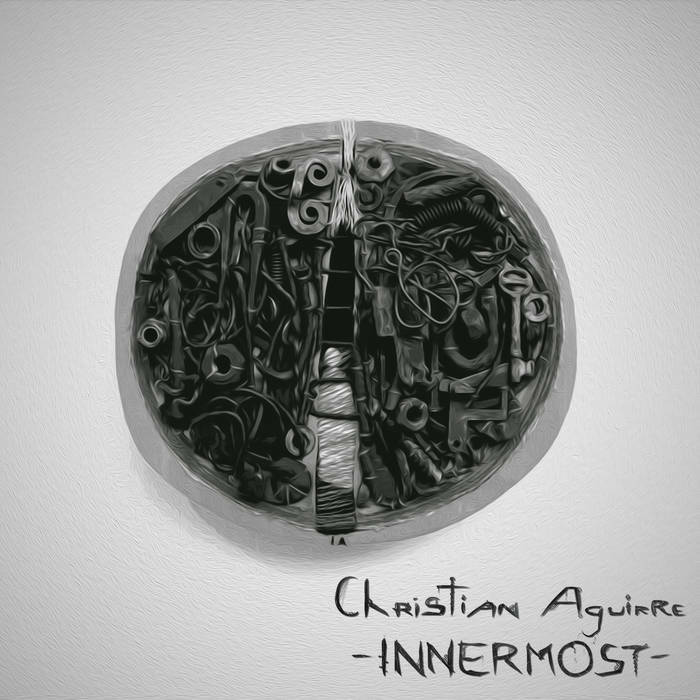 Peruvian guitarist Christian Aguirre serves up a 5 EP called “Innermost” which showcases the guitarist’s talented playing. No, it is not a shred-fest by any means which is refreshing. Yes it’s metal but Aguirre is a disciple of the almighty riff and not one to over play. The songs fit nicely together too. And these are 5 songs and not just chords thrown together to solo over. Aguirre is a GREAT rhythm player. The riffs are chunky and have plenty of punch. Downsides, since it’s an indie release, there are times I get a humming sound on some of the heavier moments. Since he did this on his own dime, it’s understandable that this is not going to be perfect. Honestly, I think Christian Aguirre needs a band to fully realize his ability. He is clearly a song writer and as the main solo of “Changing Colours” proves, he can write a great melody. “Innermost” is an enjoyable listen, very easy get lost in. Here’s hoping we get bigger and better things from this talented player.